Yes, the insanely accelerating next-generation Tesla Roadster we see in the video below is Computer-generated imagery (CGI) — phew, hard to detect if nobody told you. Tesla Roadster is becoming the favorite car for CGI artists and 3D graphics designers for its beauty and crazy acceleration. According to the claims of Elon Musk the standard variant of the 2020 Tesla Roadster will be able to perform 0-60 mph in just 1.9 seconds, the first ever production car that can do it under 2 seconds. 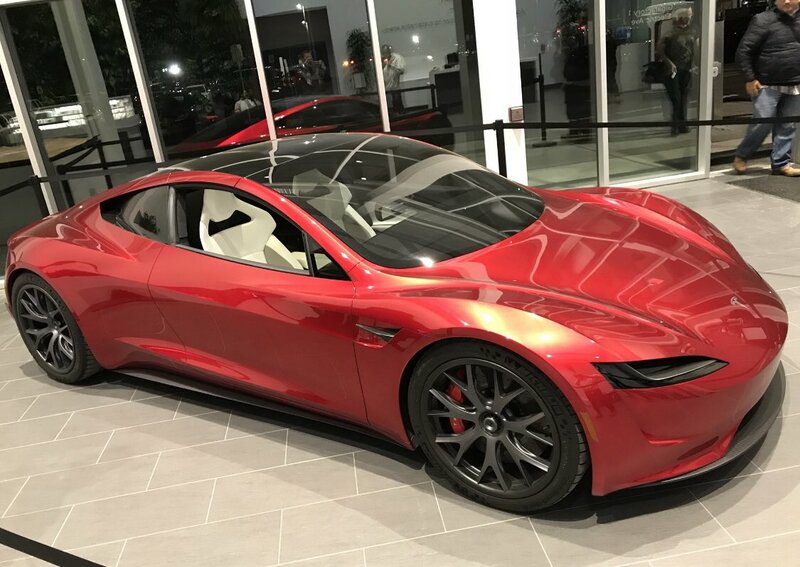 Last year the automotive artists of the ArtCenter College of Design were provided an opportunity to watch the next-gen Tesla Roadster live at the college and be inspired (photos here). Trevor Page from the Model 3 Owners Club also provided us several great 2020 Tesla Roadster renders in multiple colors that he worked on for a while that we featured and got praise from the Tesla community. Tesla aims to start deliveries of the next-generation Roadster by the end of 2020 since the automaker has successfully risen from the production hell of 2018 and is now producing more than 7,000 vehicles per week, the target of producing the road-legal Tesla Roadster gives optimistic vibes. Let’s watch how a 2020 Tesla Roadster will look and feel when passes you from the side with full force, amazing! in our honest opinion (Video Credits: 2NCS 3D Graphics). Next-generation Tesla Roadster also makes appearances here and there time to time but it has been a couple of months that we saw any spotted photos or videos of the car — but with some effort, we were able to find a couple of new pictures posted on Twitter by HemantG61521286. 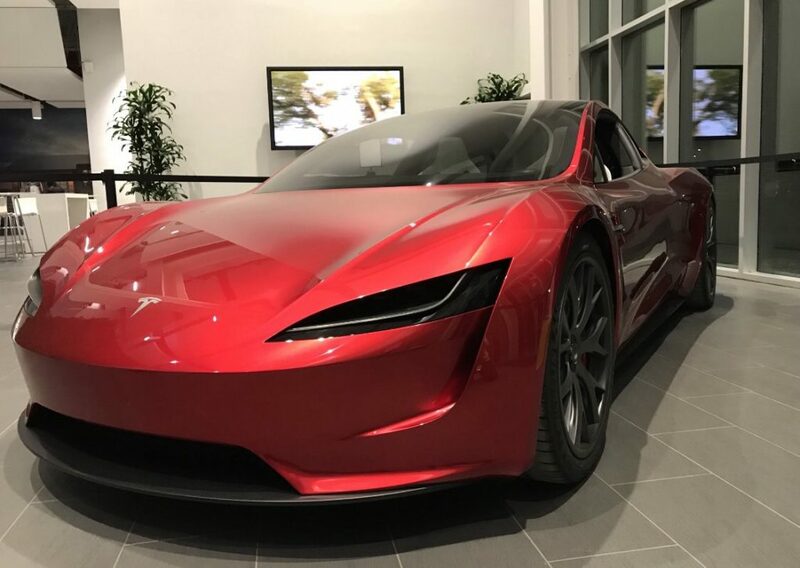 The following photos are either taken at the Gigafactory in Nevada or at the Tesla Design Center in Hawthorne, CA — but who cares, these are some stunning pictures of the Tesla Roadster to look at, especially for those who won it through the Tesla referral program (now discontinued), some even won 2 founder series Roadsters, that is half a million dollars worth of assets. However we were not able to know the exact location of these photos taken, but let’s enjoy the great angles and color of the next-gen Tesla Roadster and don’t forget to express your feelings in the comments section below.